In between getting kids ready to head back to school and some last minute summer fun, I actually sewed last week! I have not sewed hardly at all this summer. It felt so good to accomplish something on a project I'm enjoying. I am in love with how my Metro Twist quilt is coming along. I've decided to make it larger than the pattern. The final size will be 60" x 66" rather than 40" x 55" as in the pattern. I'm still considering making it even larger still and extending it to 60" x 77". We'll see how much more fabric I decide to buy. I LOVE the low volume prints as the background on this design. 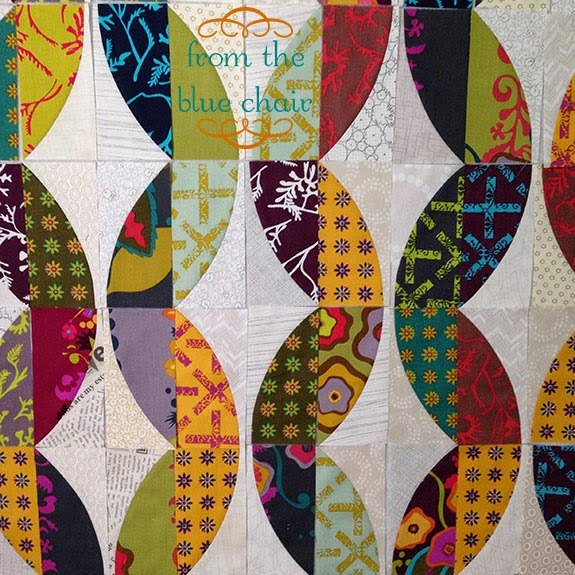 Unfortunately, cutting fabrics for this quilt made a huge dent in my fairly small stash of low volume prints. I'm pretty specific on the ones I like. I might have to restock my favorites because I have a feeling I'll be doing using them again soon. So now for our winner from last week's giveaway! Thanks so much to all of you who participated in the giveaway this past week! The randomly selected winner is...#80, and that is Jo! Congrats Jo! I'll be sending you an email. You will receive a free copy of the Curve it Up pattern courtesy of the kind ladies at Sew Kind of Wonderful! 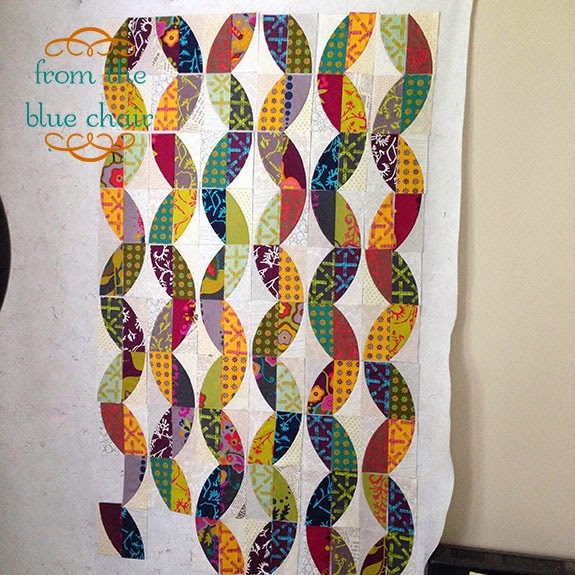 Don't forget to head back to Sew Kind of Wonderful for the rest of the blog hop and the QAL coming up for the Quick Curves Pattern. Have a great Monday! Oh my goodness that's stunning! Absolutely gorgeous. A brave soul to make curves and make them so well. Great quilt, congratulations. I'm loving this! I've made the same pattern and found it really great to follow. And I just got those Alison Glass fabrics so now want to make them curvy! Wow! That looks so great. It looks fantastic! I think I will have to change my favourite Curve it Up pattern to Metro Twist.